Zapier is an extremely useful service that enables you to connect apps and automate your workflow. This not only saves time, but ensures that all aspects of your business are consistently organized, helping you to achieve your goals. However, Zapier isn’t for everyone. So in this article, we look at 12 Zapier alternatives that provide a similar high-quality experience. We will consider the top features of each solution and give you a good insight into what each ‘alternative’ offers. By the end of reading, it should be clear which of these Zapier alternatives is a best fit for your business needs. Tray.io is an API integration and automation platform for businesses. Ideal for fast growing enterprises and large companies, Tray will help you scale your business whilst keeping workflow smooth and efficient. User-Friendly – An initiative drag-and-drop editor takes little-to-no-time for newbies to learn and ensures a user-friendly experience. Quick Integrations – Software applications can be quickly integrated using powerful automated workflows. The tool Connector Press will also enable integration with any web-based software. Support – Tray provides extensive support from their customer success team via phone or in-app chat. Tray will enable you to bind applications together, whilst allowing you to create custom workflows to support your business’s exact needs. Therefore, this makes it easily one of the best Zapier alternatives currently available. Price: Prices start from $495 a month, but custom packages and prices can be provided upon request. Integromat is another extremely user-friendly product that will enable you to automate those manual processes that otherwise take up so much time and manpower. This solution has over 1500 templates, providing ready-to-use scenarios to help with set up. The live execution feature also allows you to run scenarios in real-time so you can observe how your data passes through it. Visual Editor – Integromat’s interactive approach via its visual editor enables users to view how automation is delivered. Integrations – Integromat directly supports hundreds of apps and services. And thanks to HTTP/SOAP and JSON modules, you can easily connect to almost any web service without writing a single line of code. Developer Platform – Use the Integromat developer platform to create your own app. Integromat is used by some big names, including Uber, Cisco, and Adidas. So with these endorsements, you can see why Integromat has made this collection of top Zapier alternatives. Price: A freemium product, Integromat packages charge anything from zero to $299 a month. However, for their Standard package, you can look to pay a $29 monthly subscription. 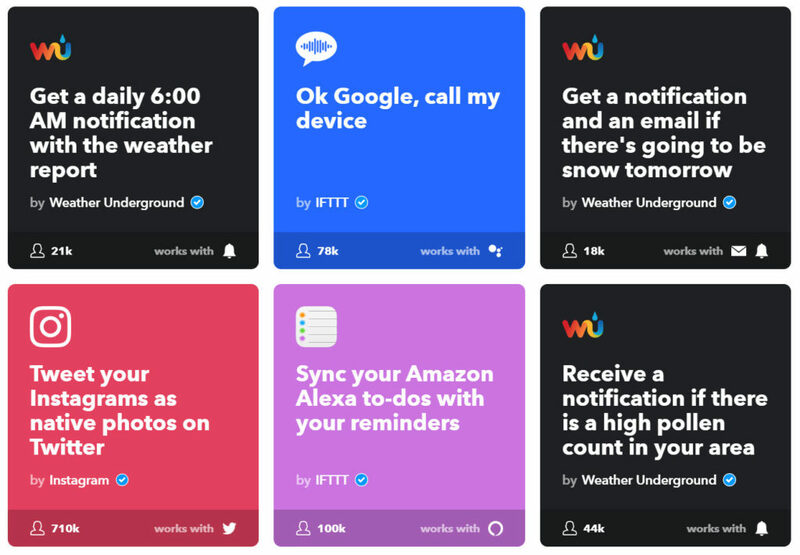 IFTTT is looking to personalize your tech experience by ensuring all your devices and apps connect and communicate. This solution is great for small businesses, as well as for individuals who want to make their lives run more smoothly. Applets – IFTTT use Applets to bring services together and then help them work for you. Social Media – Automatically post across all your social channels, saving time and helping you connect with your followers. Smart Home – Turn your house into a smart home that responds to your actions. IFTTT is not just a useful product, also it adds a fun element to organizing and automating. Importantly, it will quickly help you organize any area of work, as well as much of your personal life. Automate.io allows you to integrate all your cloud applications so you can automate a range of marketing, sale, and business processes. You can send automated emails, run social campaigns, monitor lead generation, track payments, and much more. Quick Set Up – Create one-to-one integrations or multi-app works flows in minutes, without having to touch a line of code. Extensive Number of Actions – Automate allows you to run three times more tasks (across all of its plans) in comparison to the number of actions Zapier allows you to run. Therefore, however many jobs you want to automate, this solution can cater for your needs. Live Chat Support – Get your questions answered and problems immediately sorted out. Using Automate, you can put all your tedious tasks on autopilot. Which is, consequently, why Automate is trusted by over 1000 businesses, including companies like Airbnb and UCLA. 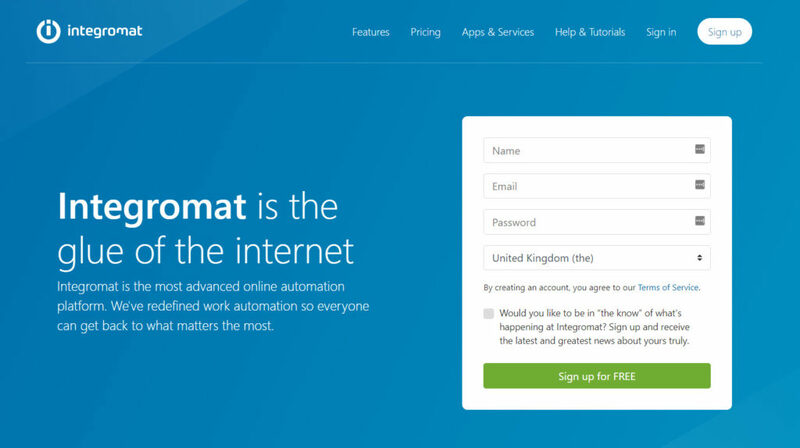 Price: Automate provides five plans, starting from free to $199+ a month. Their most popular Business plan works out as $99 a month, or $79 a month billed annually. 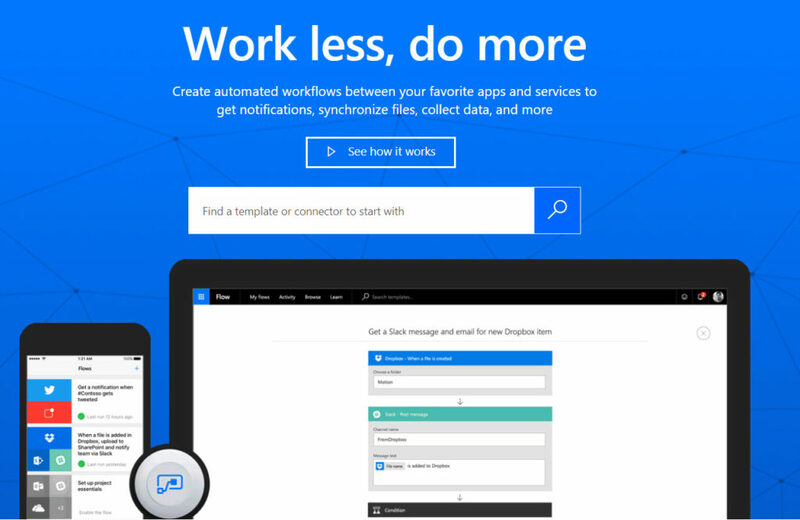 Microsoft Flow helps you to automate time-consuming tasks whatever your industry, business or career. 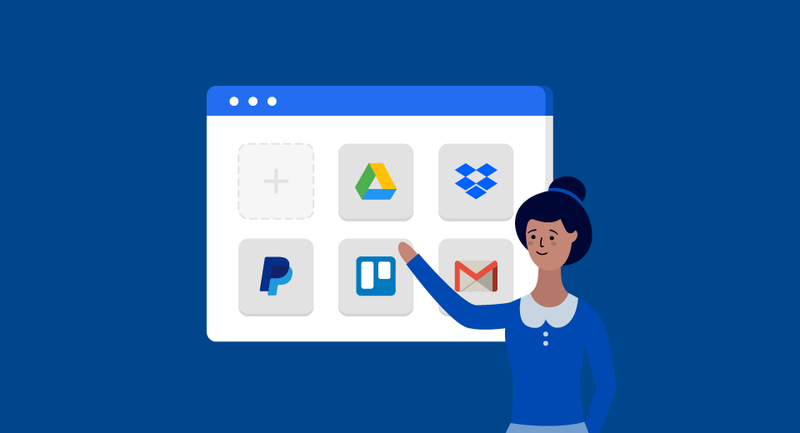 You can connect your favorite apps and services, receive notifications of actions as they occur, sync files, collect data, and more. Templates – Microsoft Flow provides numerous templates to select from, helping you quickly improve your workflow. Choose from templates for email, productivity, social media, and data collection, to name a few. Custom Workflows – Create your own multi-step flows across several apps to cater for specific projects. Knowledge Base – Microsoft Flow provides an extensive knowledge base, with dedicated sections for beginners, intermediates, experts, and more. Useful how-to articles will not only help you get started, but importantly, teach you how to get the most out of this automation tool. Microsoft Flow is simple and easy to use, with its extensive number of templates making it a great solution for all. Price: Microsoft Flow offers a free plan, as well as two premium plans costing from $5 to $15 a month. However, if you opt for the free plan, keep in mind that to connect some of the premium apps will cost you. 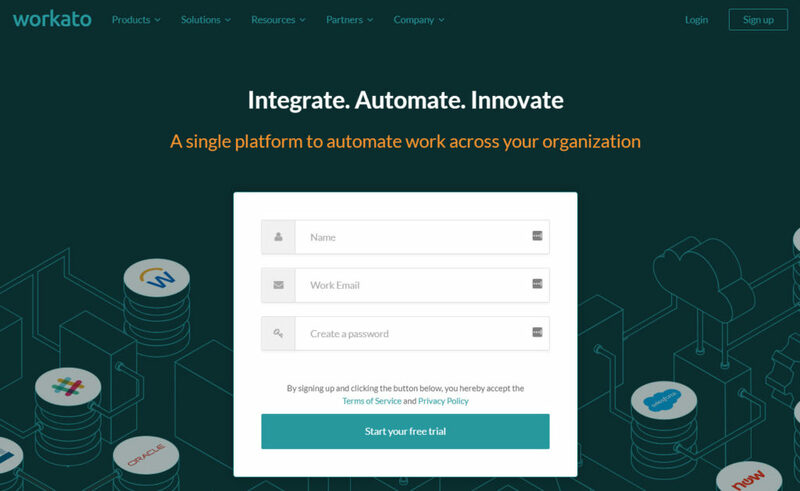 Workato is a powerful and versatile platform that can automate work across your organization. The solutions automated workflows (called Recipes) connect apps and complete tasks, which can be initiated based on a range of triggers set by you. Recipes – Choose from over 225,000+ recipes to help you automate complex workflows. 400+ Apps – You can connect over 400+ enterprise apps via Workato, with more apps are being added all the time. Developer Extensibility – The Workato SDK provides the ability to customize or build new connector extensions for any API enabled app. Workato is used by numerous global companies, including Visa, Slack, and Levi’s. So if you are looking for a superior tool to improve efficiency within your organization, then Workato might be for you. Price: Workato provides plans for both entrepreneurs and business teams. Prices range from $249 to $5999 a month, and there is also a free version for individuals. PieSync integrates and connects your cloud apps, ensuring that customer data is synced and across all applications. This will help give you a 360-degree vision of your customers, providing you with insights that you can use to inform marketing strategies, sales, customer care, and much more. Two-Way Sync – Once set up, PieSync will sync your data across all of your cloud apps in real-time. Apps – PieSync already supports 140+ apps and adds a new one every week. Security – Data is encrypted, and advanced authorization methods like Oauth are used, to ensure all customer info is safe and secure. Pie Sync offers syncing solutions for businesses of all sizes, so will support your business as it grows. Price: PieSync doesn’t offer a free version of its service, but its Starter plan will cost you just $9 a month. For larger businesses, the top end Enterprise plan will set you back $99 a month. Built.io Flow is an intelligent iPaaS that will help increase your organization’s productivity. This solution can help you connect any microservice, device, or platform with an API. And you can automate tasks and processes in all areas of your business, including finance, marketing, HR, and operations, to name a few. Intuitive Interface – Built uses a visual drag-and-drop interface, helping you successfully design, assemble, and run workflows. Popular Flows – Access a range of popular workflows, which you can quickly implement and then use. Security – To guarantee data protection Built uses a range of security features including encryption, access controls, two-factor authentication, limited login attempts, and much more. Built software is trusted by numerous Fortune 500 companies and governments around the world, including NBA, Vonage, and Astute. Price: Built starts from $99 a month, billed annually, and increases in price to $1499+ a month for the Pro and Enterprise plans. More than ten years in the making, Apiant is a feature-rich integration platform designed with the needs of large organizations in mind. You can integrate apps in minutes, take advantage of the pre-built automation templates that can be installed with a couple of clicks, and track workflows to help you troubleshoot any issues that may arise. Library of Connectors – Apiant provide thousands of pre-built connectors on their platform, and more are added on a weekly basis. Complex Filtering Logic – Triggers are used to start an automated workflow. Apiant allows more than one trigger per workflow, and triggers can also have one or more filter with AND/OR options. This enables complex workflows to be created and deployed. Cloud, Dedicated, or On-Premises Service – You can build and run integrations on Apiant.com, license a dedicated managed service, or install the platform on-premises using Docker. Apiant is built to cater for any integration need, and its scalability makes it ideal for large and growing businesses and enterprises. Price: Apiant’s most basic plan, which enables you to use pre-built templates only, starts at just $49 a month, billed annually. If you would like to build and modify your own automations, then these plans start from $399 a month. 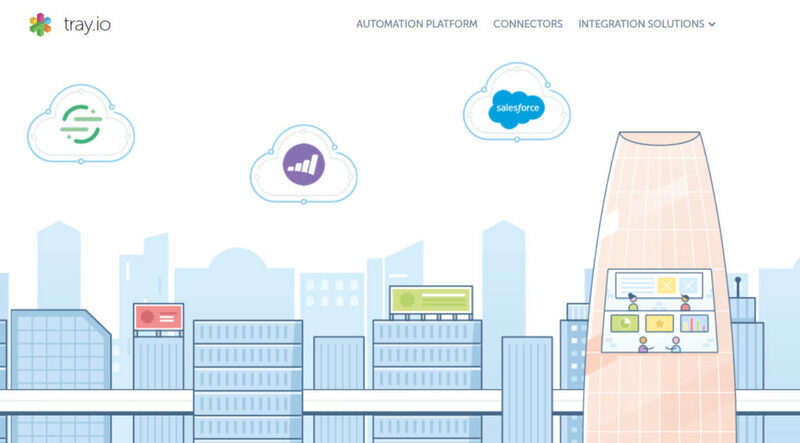 OneSaas will connect your business apps together, helping you to automate all areas of accounting, eCommerce, billing and invoicing, email marketing, and plenty more. This solution is particularly focused on supporting workflows that initiate a transaction, whether that be an order, a quote, or an invoice. Apps – OneSaas syncs with numerous business and eCommerce apps, including Xero, eBay, MailChimp, and Salesforce. Quick Setup – Simply add the appropriate apps to your OneSaas account, configure the integration workflows and sync frequencies that work for your business, then sit back and enjoy the automation. OneSaas Developer Hub – Build the connection between your app and the OneSaas Hub, supported by the OneSaas community. By using OneSaas you can sync your apps and share data. This will save you time and money as well as allowing you to concentrate on more pressing business matters. Price: OneSaas prices start from $25 a month. They also offer a seven-day free trial, so you can check out the solution before making a payment. Wyzebulb is another impressive option in this collection of top Zapier alternatives. This tool will let you connect your marketing, sales, and business applications and configure the interactions between them. You can create rules and filters to ensure the right actions are occurring at the right times within workflows. And you can also automate ad campaigns to help you promote your products and services, and connect with your target audiences. Pre-Built Flows – Wyzebulb has created a wide assortment of pre-built workflows to select from, helping you quickly implement automation across your business. Automated SMS Messages – Wyzebulb can automate contact with your customers via a number of applications. Personalized SMS can be sent to contacts, using the SMS provider of your choice, helping you to engage with your target audience. Advanced Analytics – Monitor your workflows and campaigns in-depth, helping to inform future actions and automations. By integrating all your applications in one place, Wyzebulb will help your teams accomplish more whilst increasing sales and conversion. Price: Wyzebulb provides a free plan for all users, as well as three premium packages. These will cost you anywhere between $15 to $75 a month. Elastic.io will enable your business to connect APIs, on-premises, and cloud applications quickly and extremely easily. The Elastic library holds numerous pre-built connectors for mainstream business applications. And you can also create your own custom components and build new products on top. Intuitive Designer – All applications and system workflows can be mapped within the Designer, which is Elastics easy to use drag-and-drop editor. Monitoring Workflows – Elastic contains built-in tools to monitor workflows, detect inconsistencies, and find and fix the errors. Developer Friendly – The Elastic platform is easily extendable, allowing for the development of new integrations. The Elastic software is used by a wide assortment of businesses across the globe. Companies include Wirecard, Deutsche Telekom, and Fabric House, to name a few. Price: Elastic isn’t cheap, with prices starting from $599 a month (billed annually). However, Elastic makes sure that they can provide for any integration scenario, making this platform a perfect option for those needing a personalized service. As you can see, there are a wide assortment of Zapier alternatives for you to select from. Choose the solution that best works for your organization or project – one that will not only help reduce the time spent on manual tasks, but that will also help you achieve your business goals.